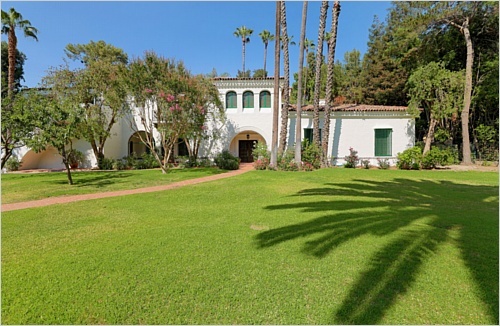 Pristine 1920's classic California Spanish estate meticulously maintained with original charm and old world character. 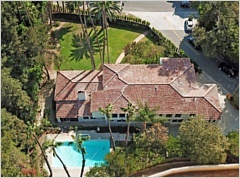 Located on a 23,000+ square foot lot in prestigious Holmby Hills the residence boasts over 6500 sq ft of living space built by architect J (Jesse) Ross Castendyck. The property has been in the same family for nearly 75 years. 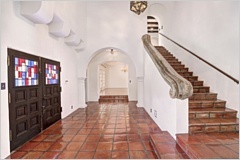 Entry is gated for privacy, featuring mission style tiles under an arched portico & solid carved wooden doors. The grand entryway has high ceilings, graceful staircase and remarkable original stained glass window. 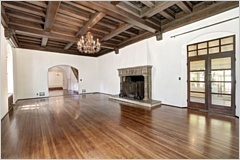 Inside the grand living room one will see the high beamed ceiling, a large fireplace with original Italian stone hearth and magnificent hardwood floors. 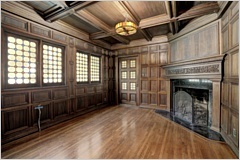 Study/ library with paneled mahogany, fireplace and hardwood floors. There is a full size formal dining room, plus a large separate breakfast room. The bright kitchen has an O'Keefe & Merrit stove, butler's pantry and bay window overlooking the rear yard. The home features 5 upstairs bedrooms including a spacious master with his and hers baths and spacious closets. The four family bedrooms are spacious, light and bright with walk in closets, balconies and two baths. 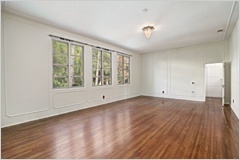 Expansive rooms with high ceilings, French doors, hardwood floors and original details. In addition, downstairs there are 3 staff bedrooms and 2 additional bathrooms, with separate entrance, also perfect for office space. There is a large front yard and the back yard featuring a swimmer's pool with plenty of room to entertain. The spacious parking area will accept seven cars plus there is a three car garage. Conveniently located with a short drive to Beverly Hills, Century City and Westwood to restaurants, shopping, & entertainment.